Photo courtesy of Brooke Williams. Gladwell comes March 10. Some people would sound crazy trying to connect Saturday Night Live with German philosophy — not Malcolm Gladwell. The bestselling author will be presenting his unique ideas at the Jack Singer Concert Hall on March 10 as part of Mount Royal University’s Legacy of Ideas series. Originally slated to speak on campus, an overwhelming demand for tickets caused organizers to switch venues. 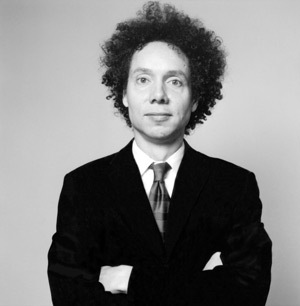 Gladwell is still expected to be on campus to speak with a small group of students prior to the event. A current staff writer for The New Yorker, Gladwell has written several books, including: The Tipping Point, Blink, Outliers and What the Dog Saw: And Other Adventures. “Malcolm Gladwell’s ability to deconstruct nothing into something, which in reality means everything in the way we think, feel and live is incredibly captivating,” said Jacqueline Tyler, a recent graduate of Mount Royal’s public relations program. “I can’t wait to finally capture his energy in real life because his writing has been the fuel to my life’s energy for the last couple of years.